Gaps due to missing teeth not only impact your self-esteem, they can also affect your bite and the placement of your remaining teeth. This is why it’s important to get appropriate dental care to fill the gaps left behind by missing teeth. Your Saw Mill Dental dentist in Yonkers can help you address the problem, possibly with a dental bridge. A bridge can fill the gap between teeth, helping you maintain your face shape and making it easier for you to chew and eat normally. 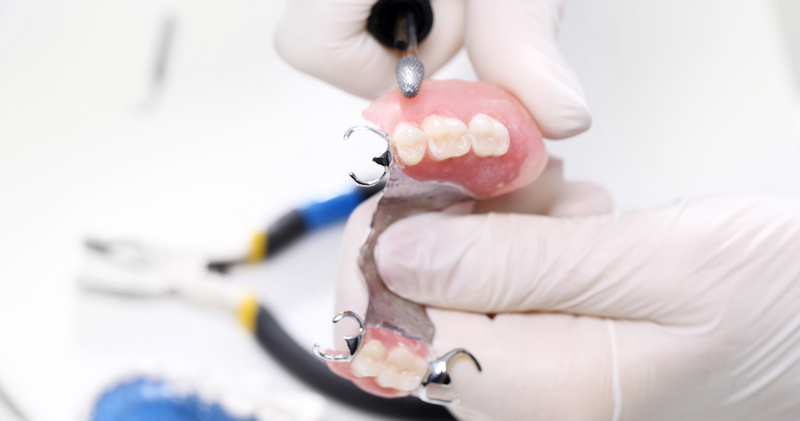 What you need to know about dental bridges. Although bridges can be made from many different materials, there are basically only three types. Your Saw Mill Dental dentist will examine your remaining teeth to determine which option best suits your needs. Afterward, he or she will recommend one of the following designs. Traditional Bridge – This most commonly used bridge is positioned between your existing teeth to “bridge” the gap left by a missing tooth or teeth. Maryland Bonded Bridge – This type of bridge may be made from plastic, metal or porcelain, and is typically supported by a porcelain or metal frame. Cantilever Bridge – If there are teeth available on only one side to support a bridge, a cantilever bridge will be the likely choice. Why a dental bridge is needed. Dental bridges offer many important benefits. Perhaps the most obvious one is giving you back your confident smile. They also help maintain your face shape, something that also greatly affects your appearance. Aside from aesthetics, though, there are practical reasons for getting a bridge. These include speaking and chewing more normally, keeping your remaining teeth from shifting, and reducing the stress on surrounding teeth. How a dental bridge is placed. Your teeth will be prepared and your dental bridge will be fitted on at least two separate visits to your Saw Mill Dental office. On the first visit, the teeth used to anchor the bridge will be shaped and sized to leave space for the device. Your dentist will also make an impression of your teeth as a guide. When you return for the second visit, your new bridge will be placed in and adjusted to your mouth. What to expect with a new bridge. Most patients will need subsequent dental visits for additional adjustments to get the fit and function of the bridge just right. Once your new bridge is in place, you should find that you are able to eat and speak more normally again. Be careful of certain foods, however, particularly in the days following placement. It’s best to stick with softer foods until you’re more comfortable with the device. Once you’ve adjusted to the new bridge, you should be able to go back to your regular diet. How to care for a dental bridge. Your Saw Mill Dental staff will go over the proper cleaning and care regimen for your new bridge at the time of its placement. It’s important to follow this advice and stick to a routine of good dental hygiene. With proper care, you can expect your bridge to last for 15 years or more. I have been coming here for years and now my kids come here also. It’s a family affair.! Dr. Friedman and Nicole are awesome with my son’s orthodontal work. Highly recommend! Nicole and Dr. Friedman worked on me for tooth extraction. The experience was comfortable and extremely quick. very good service my teeth are strait as ever!! EVERYONE is so friendly. I’ve been going to this office for over 10 years and even though I have moved upstate, I still go to Saw Mill Dental. Dr Friedman did a great job walking me through a difficult time and decision and I’m very pleased with the outcome. Would certainly recommend him. Very friendly and helpful office staff.